How important is your HVAC system to your business? If you’re like most managers or business owners, you can ill afford any down time. Maybe you have a reliable HVAC consultant who’s at your beck and call; chances are, however, when an emergency repair occurs, you may find yourself on a waiting list. 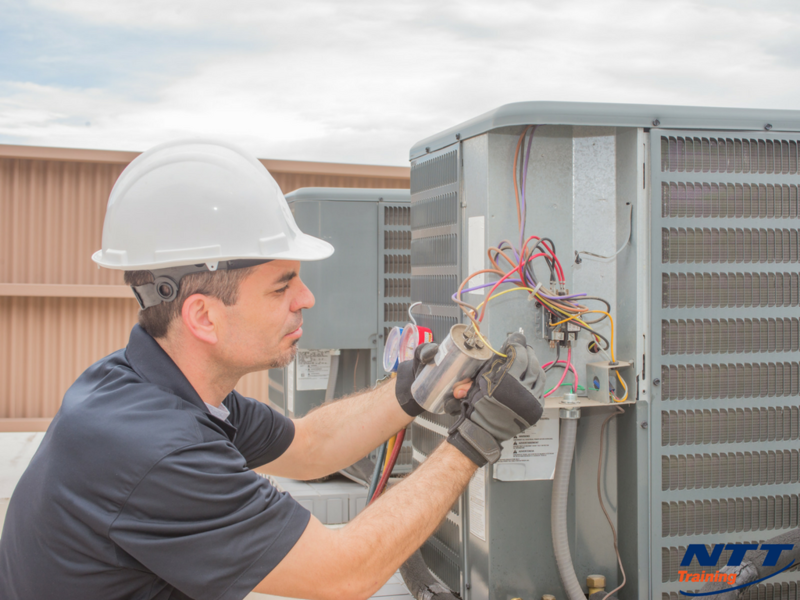 Depending on the nature of your business, a malfunctioning HVAC system could spell disaster if it’s not up and running within 24 hours. The solution just might be training someone on your maintenance team to learn HVAC preventative maintenance, troubleshooting, and repair. Make no mistake: your HVAC system, be it a water- or air-cooled chiller, or a heating/air conditioning system that uses an air handler to distribute conditioned air, is a sophisticated piece of equipment. Whomever you assign to work on it should be well trained. Learning how to inspect and test these various parts and systems will not only prevent breakdowns, but will also help your maintenance staff troubleshoot the system when something goes wrong. Your staff may also need additional training for dealing with safety issues involving electricity, gas (carbon monoxide), or a boiler (high pressure). In hydronic systems, the most common reason for system imbalance is improper design flow. There are a number of other issues that can cause system imbalance. A technician will need to first check building pressure, then go step by step to determine the cause. Depending on which type of HVAC system you have, you may also have to provide your staff training in safe practices involving electricity, gas (carbon monoxide fumes), or preventing boiler fires or explosions. The fastest way to bring your maintenance staff up to speed as HVAC technicians is to provide specialized training. They should be enrolled in basic HVAC technician courses, and upon successful completion, be given the opportunity to work on the system under supervision. More specialized courses or trainings may be taken as experience is accumulated. One of the best ways to ensure that the temperature of your facility is what it needs to be is to check building pressure and correct negative pressure whenever it occurs. Your maintenance staff will need specific training for this task, which if successfully performed, will help assure employee comfort and energy savings for you. Want to learn more about how to troubleshoot and fix HVAC system imbalance? Contact NTT Training today for more information about Balancing of Water and Air Systems.